Weather: The Chaos Which Surrounds Us Aims Multimedia, 1996 . Full Video. Discovery Education. Web. 28 October 2012. <http://www.discoveryeducation.com/>. Click on the image to the left to head to Study Jams! 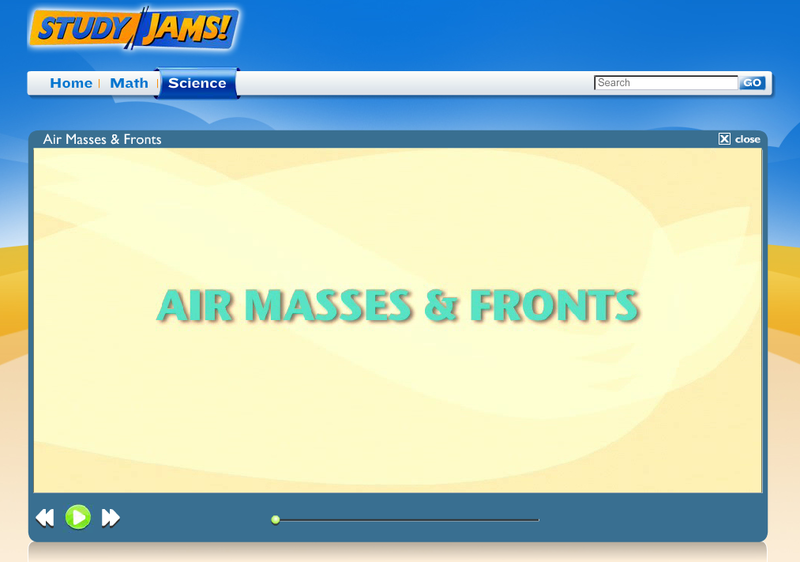 and learn more about air masses and fronts. This short video gives a good visual explanation of these important weather factors.